The more I learn about former President Dwight Eisenhower, the more I like him. After visiting his adult home in Gettysburg last Summer, I knew a stop at his Presidential library and museum in Kansas was a must. 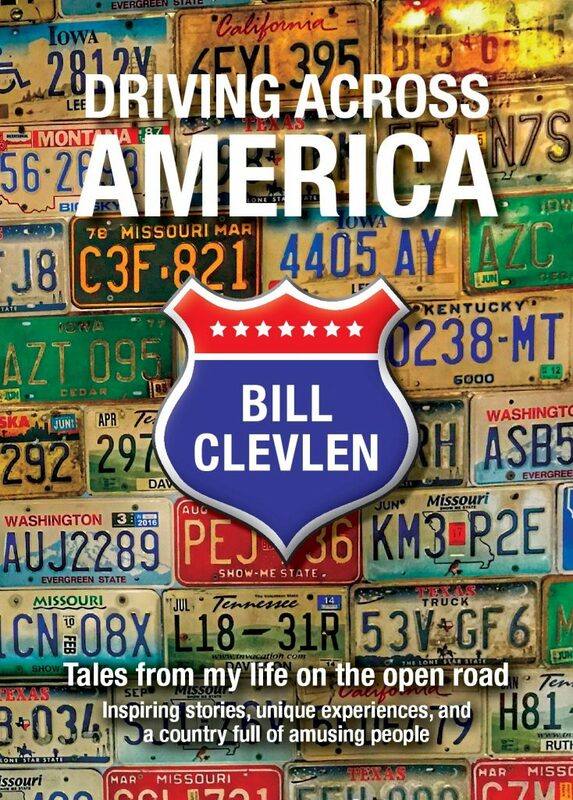 It’s easy to get to if you’re already traveling across the state and a perfect place to stretch your legs and get your latest dose of American history. One thing I always enjoy about Presidential museums and libraries is that you’re bound to find lots of stuff that’s cool to see no matter what your political leanings may be. The Eisenhower Presidential Library has the added bonus of being directly next to his childhood home. Also located on the property is the final resting place of Dwight & Mamie Eisenhower. The graves are inside a beautiful, somber mini-sanctuary with great stained glass windows. The former President designed it himself and wanted visitors to be able to reflect during their visit. The childhood home of President Eisenhower is located on the same campus as the library and museum. The inside of the home has most of the original furniture including a radio that Mrs. Eisenhower would use to listen for updates about her son, a General in World War 2. People often ask me why they call these places Presidential “libraries”. 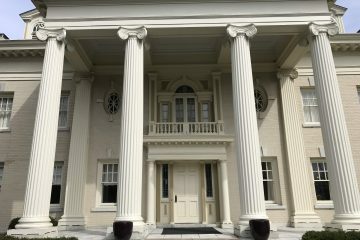 While most visitors will only see the museum – each Presidential Library is in fact a research center where documents related to each President’s time in office are stored and organized as part of the National Archives. 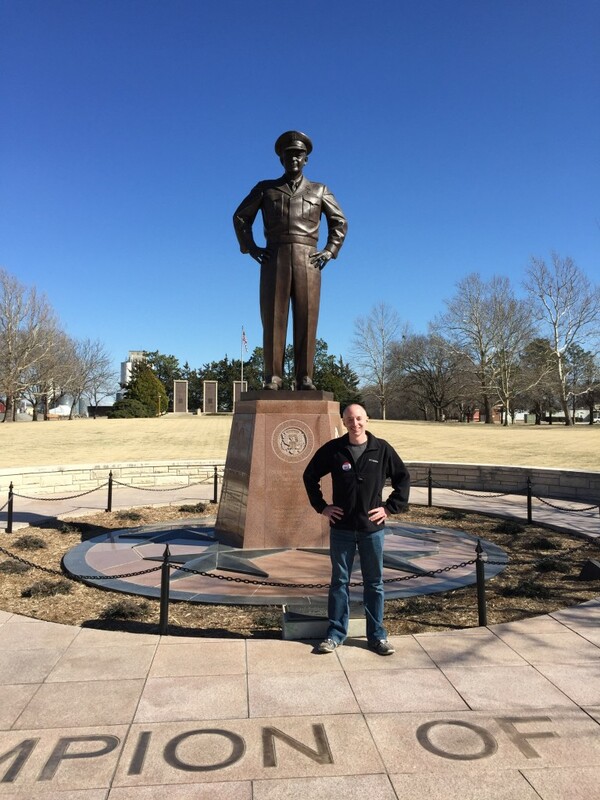 The Eisenhower Library for example has a whopping 26 million pages of material. As documents become declassified, the collection grows even bigger. 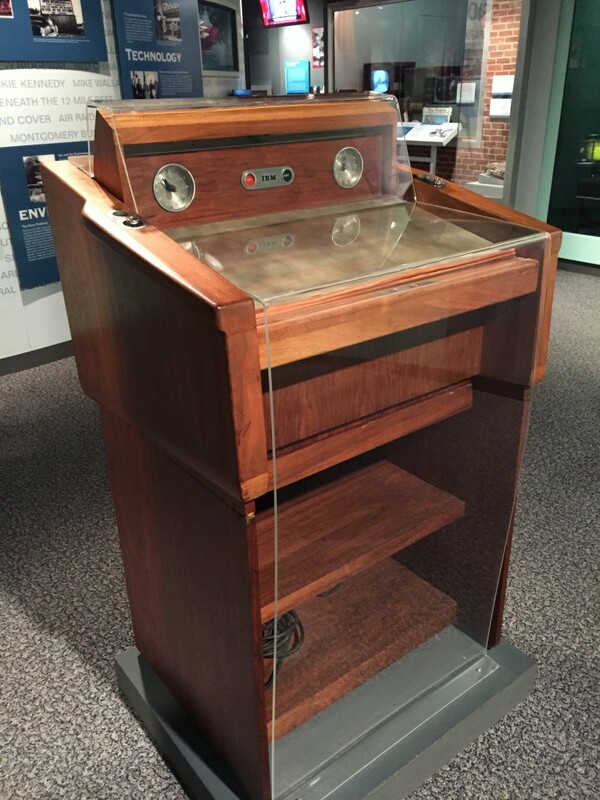 Each Presidential library has one of a kind items that you won’t see anywhere else. 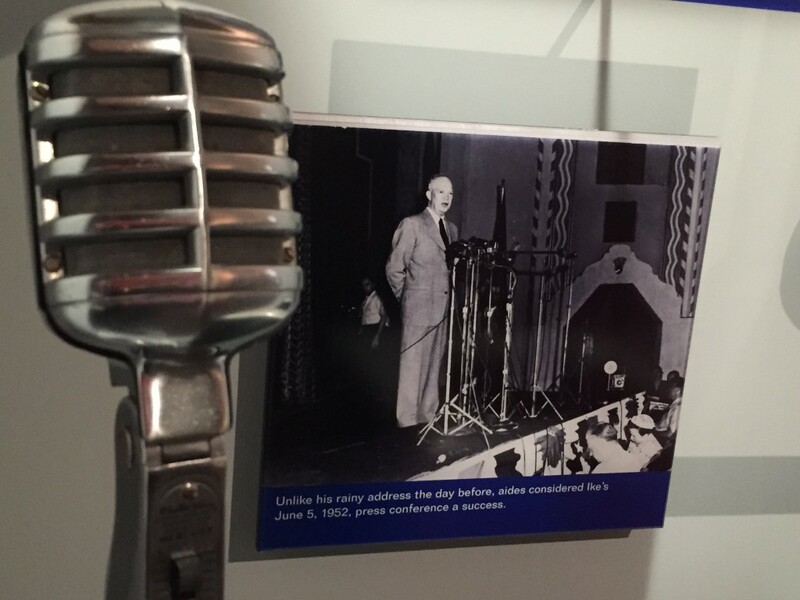 Whether it’s the microphone Eisenhower used at press conferences or the Presidential podium that traveled with him on official trips or an engagement ring he gave to the former First Lady. Kids will be stunned to learn what “modern technology” looked like during the years Ike was in office. In the late 50’s – a state-of-the-art communications phone looks like something you’d see today for $2.00 at an estate sale. Typewriters? What are those? History buffs will be intrigued by stationary that belonged to none other than Adolf Hitler and the actual D-Day planning table. Car lovers will get a kick out of the 1914 electric Rauch and Lang automobile that the Eisenhower’s drove that once belonged to Mamie’s mother. The Presidential podium that Eisenhower used when he would travel and speak at different functions or events. Another unique aspect of the Eisenhower site is the collection of things from his days as a General. In fact, after leaving The White House – it’s widely known that instead of “President” – he instead preferred to be addressed as “General”. 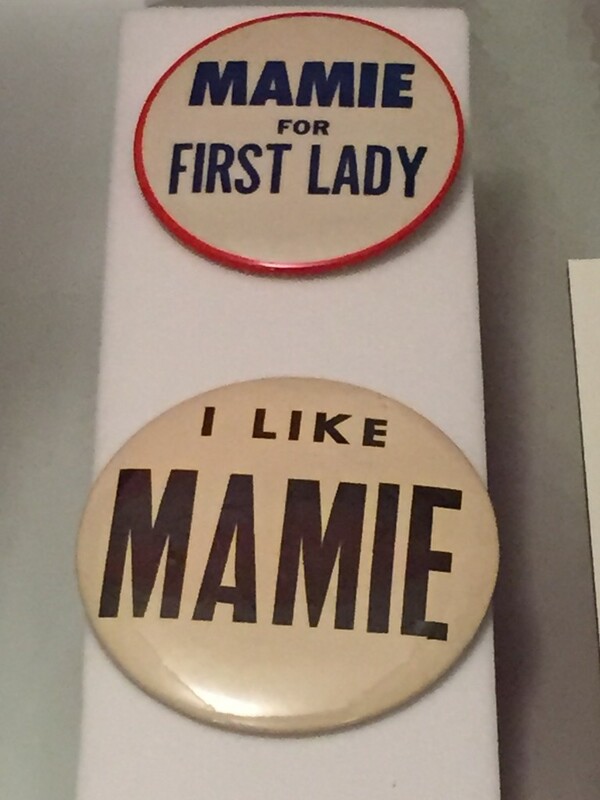 The former First Lady is also featured in the museum with everything from her wedding dress to campaign buttons that highlight how popular she was with voters. Outside between the museum and library is a statue of the former President and General that stands eleven feet tall. A lasting memorial to a great American hero and one of the most popular and well-respected leaders in history. 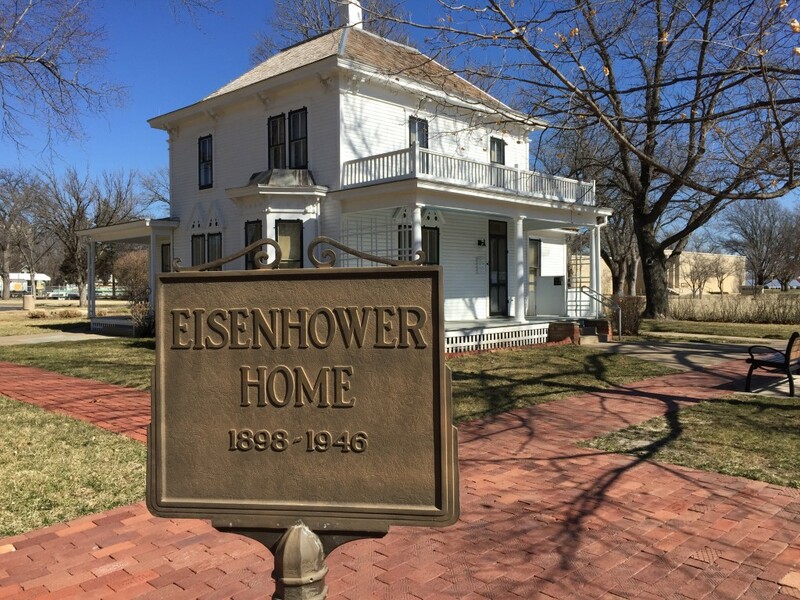 The Eisenhower Presidential Library, Museum & Childhood Home are open to the public every day of the year except for major holidays in Abilene, Kansas.